I have a very special guest today on the miniature showcase. Paul is a Hero when it comes to community driven projects and an inspiration to most at his gaming club and beyond. I saw on Twitter last week that he had completed in record time 2k worth of Overlords, one of the first I had seen and i loved the look of his Ironclad. I wanted to get him on for many reasons, one being to find out a little more of the 'Dogfather' as he is known! Here is a small interview and some pics for you! Sean: Hi Paul! Or should I say ‘ The Dogfather himself’! How are you today? Paul: Really good, nice to hear from you. 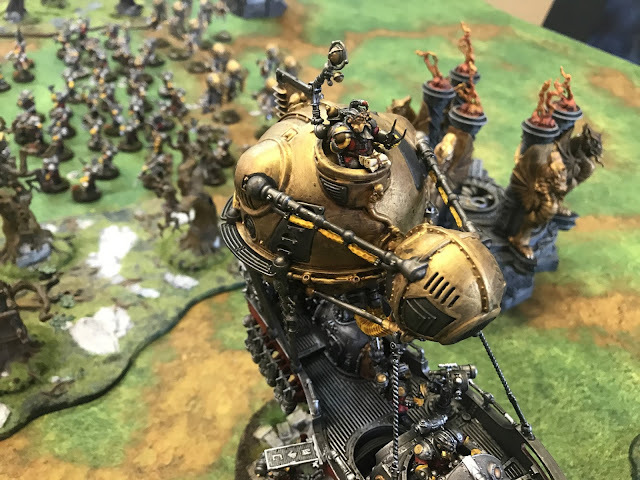 Sean: So, before I begin and talk to you about the miniature in question, the awesome Ironclad for the Overlords, I need to know… Why are you called the Dogfather? And why is your club called the Dorset Doggers? Paul: Blame this on Black Sun grandees, Matt Lyons and Chris Tomlin. Last year when they first started to come along on a Thursday night to the club, they had a few problems finding the place. My house is in the middle of the countryside, and they spent a while parked in several lay-bys and secluded spots until they found it. The next episode I think it was Matt who said the club was surrounded by prime dogging locations, and well the name kinda stuck from then on. So we are the Dorset Doggers! Hence they christened me the Dogfather, as I normally end up herding the club cats for the various events. 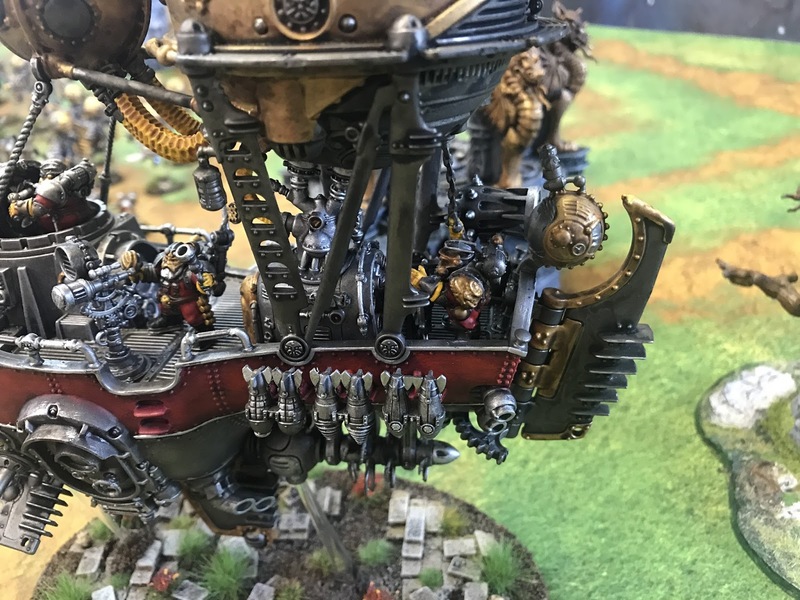 Sean: What is your background in AoS, I know you are a figure head in the community and also an innovator for your club too, how did you get into the game? Paul: Thanks! I have played wargames for a loooong time, starting way back in 2nd edition Warhammer FB, and 1st Edition Rogue Trader for 40K, was introduced to it by a friend at school. Both myself and my Brother (Richard) were avid gamers throughout this time, luckily our schools were all really good and had clubs for wargaming. As with a lot of gamers I played up until the age of 18/19 and then took a break, returning about 10 or so years ago, end of 5th Edition FB. 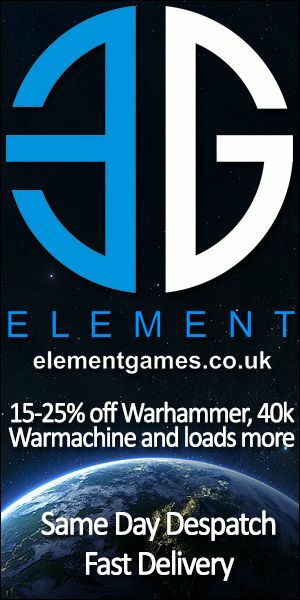 I Played a lot of games through the various FB editions, mostly against Richard, then starting the club up via the GW forums, and later The Warhammer forum. We had about 10 regular club players when AOS dropped, to mixed reviews amongst us, for me though I was hooked from day 1. I have a lot of Armies, so AOS was like a fresh canvas, all new and shiny. It very much took me back to the first few games I ever played back in 2nd edition. Sean: What is your favourite part of AoS? Sean: You have managed to get 2k worth of Overlords done to a amazing quality before anyone else I have seen online. How did you get it done so quick? Paul: I am lucky I have a designated hobby area, so I don't have to pack/unpack my painting stuff. This helps massively I think, I can do an hour in the morning and then a couple of hours in the evenings, which all adds up. Chip away, and soon everything comes together. I am very good at keeping focused, and I also don't get distracted. 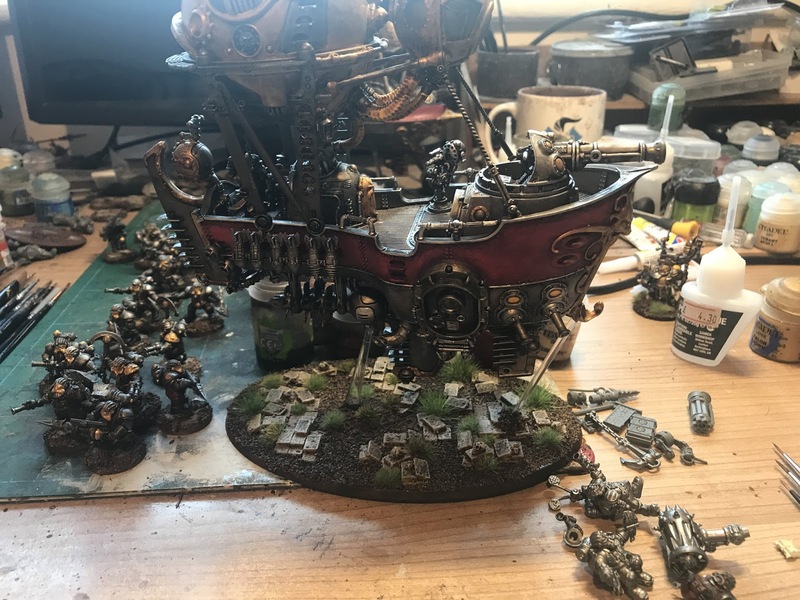 A couple of guys at club say things like 'it takes me weeks to do one unit', my reply is often, how long did you spend on COD/at the pub/etc etc? You have to maybe sacrifice a few of these for a couple of weeks when working on the army, but the results are worth it when done. Setting an achievable goal is also key, I aim for tabletop standard, which is my level. I think a lot of people spend a long time, and get frustrated, trying to paint to a higher standard than they need to. 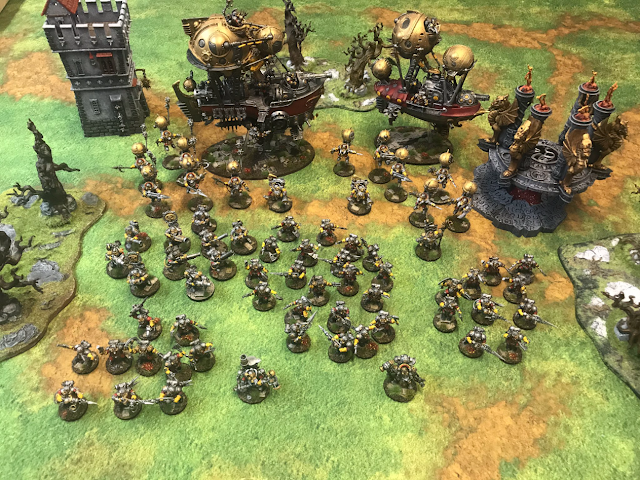 I am not aiming to compete for painting trophies, just get a 'nicely painted' army on the board. 3 simple 'rules' for a good tabletop army. These will give you good results quickly. In this case I also added a quick drybrush and some highlights in a few key areas, as it didn't take too long and helped a lot. 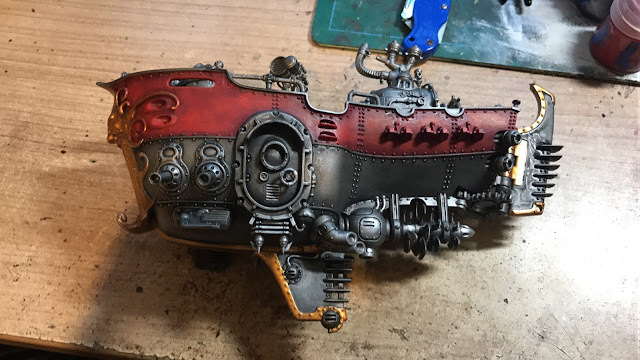 Sean: Onto the Ironclad, I love the Red, how did you achieve the beaten metallic effect? Paul: I think my messy painting style helped a lot with this! Its painted Khorne Red to start with, then given a wash of Carroburg Crimson. I then highlight back with Khorne Red, then Wazdakka Red, then finally Evil Suns scarlet. I am not sure it's even a proper highlight, maybe more of an overbrush/drybrush. 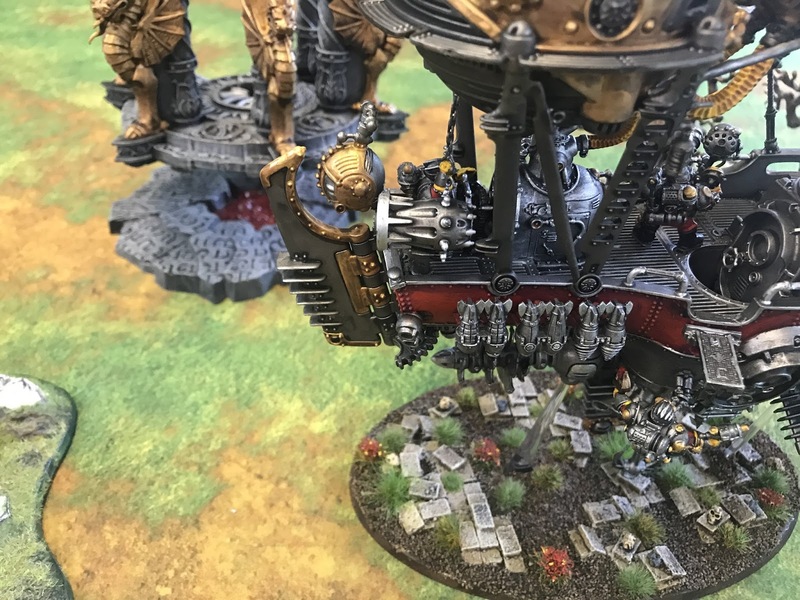 I used it before on my Skarrac/Triple Soulgrinder list, so had it in mind when considering the army. Sean: What made you choose the Red and Yellow scheme? 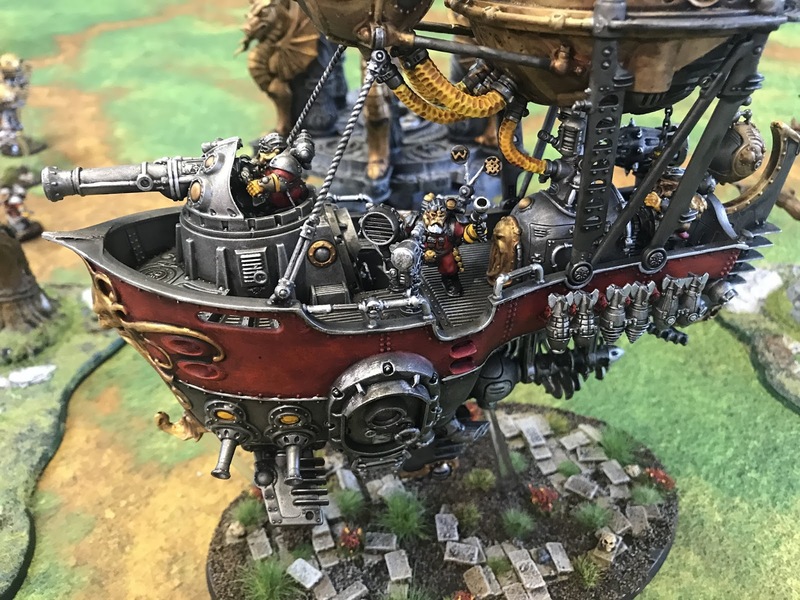 Sean: How do you achieve the Bronze effects on the balloons? Paul: I worked out this bronze/gold a while back for my Seraphon, it's a pretty straighforward process. Base coat Gehennas gold, then paint Auric Armour gold. Paul: Yeah the bases are from the excellent Daemonscape, he sells some awesome resin bases and is really helpful. I spray them brown, then paint the stones Tallarn sand and ground Rhinox hide. Add medium brown ballast to the ground areas, and wash the whole thing in Agrax Earthshade. Drybrush the stones with Terminatus stone, and paint details like small rocks and skulls. very quick to do. One thing I also do it out a layer of felt on the bottom of my bases, this helps stop the model sliding (esp on realm of battle boards), and softens the landing if you're a bit of a clutz like me and drop them on the table from a few inches when moving them sometimes. 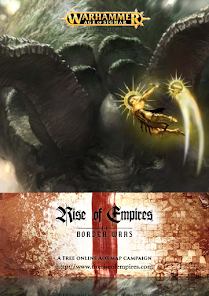 Sean: Do you plan on expanding the force anymore or leaving it at 2k? Paul: Yeah a few! 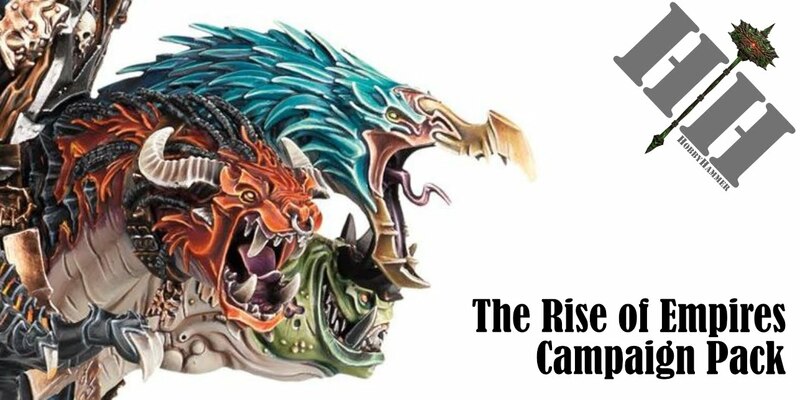 I have The Doggers invitational in June, followed by, Coalescence 2017, Bossfest, Brothers of Sigmar, Blackout, Facehammer GT, GT Final, RAW, and the Warchiefs GT. Keep saying to myself I must come along to one of your events, then dates keep clashing. Crazy that we are talking about 2018 events already! Will def try and be there though it sounds so much fun. Sean: Anything else you want to promote? Paul: Not really. Just if folks see me at events , please come up and say hello, always good to speak to new gamers. If you are local to Dorset then give me a shout on twitter or TGA, new club members are very welcome.